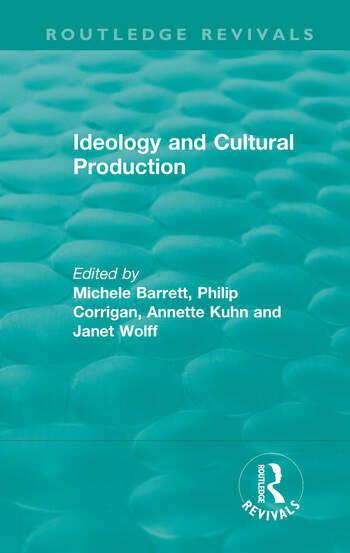 Originally published in 1979, Ideology and Cultural Production examines the contribution to the debate surrounding ‘culture’, ‘ideology’, and ‘representation’, in this collection of essays. Originally presented as papers at the 1978 British Sociological Conference on the theme of culture, the collection is tied together under the argument for a definition, which emphasizes the material and ideological conditions of cultural production. The volume discusses key issues, such as the break with ‘super-structural theory’, the question of economism, and the argument between culturalism and structuralism, as well as the central debates of determinism and autonomy.